No part of this book may be reproduced, stored in a retrieval system or transmitted in any form or by any means without the prior written consent of the author/publisher, except by a reviewer who may quote brief passages in a review to be printed in a newspaper, magazine, or journal. 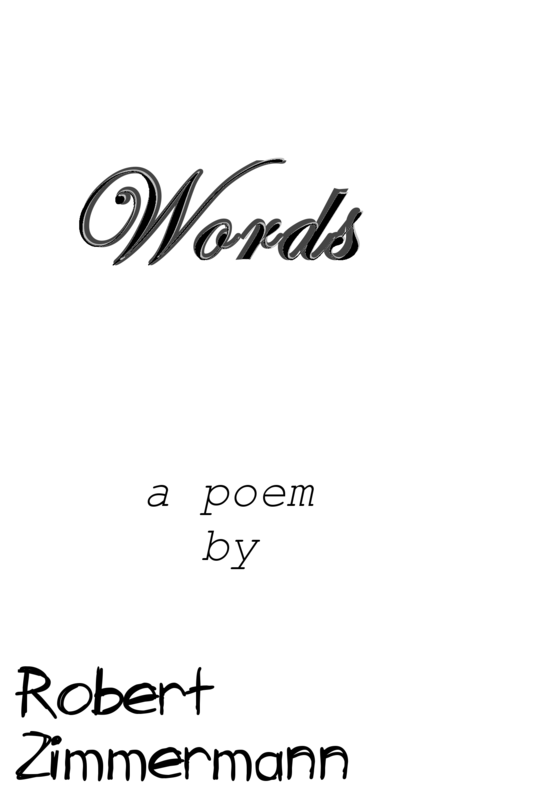 Words is a poem originally published on my blog, A Life Among the Pages, and my Wattpad page. With the response I received from readers, I figured I’d make it an ebook as well for my fans to have readily available on their ereaders. It’ll always be free and just another token of my appreciation for everyone who has supported me and my work.